On a frigid and still morning, I decided to climb some mountains in the Mosquito Range of Colorado near Fairplay. On my journey, I was pleased to see Colorado 14ers Grays and Torreys in the distance. 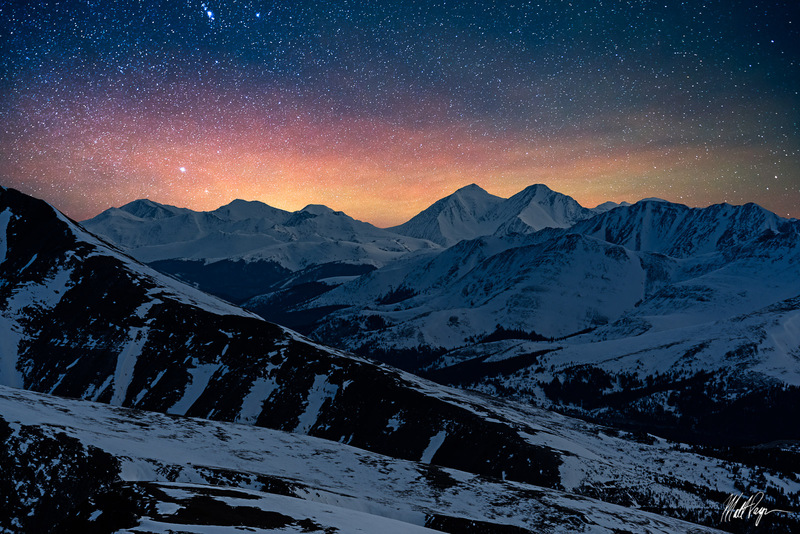 Light pollution from Denver illuminated the sky behind them at night, creating an interesting nighttime experience.